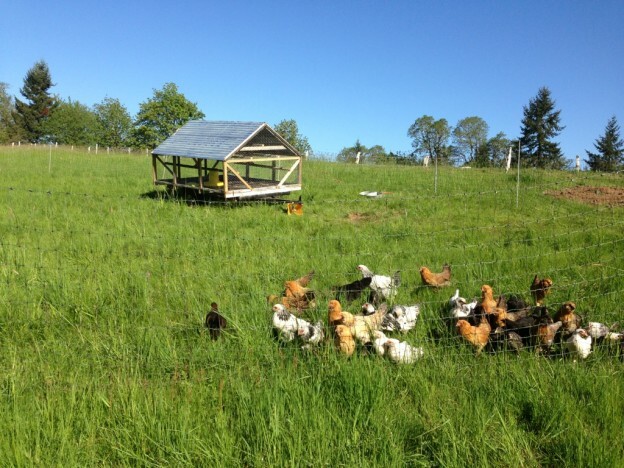 Blackbroom Farm is a small family farm at the top of a hill in winery-laden Yamhill County. We sell eggs and vegetables, as well as laying pullets and turkey chicks. We also raise Saanen goats for milk, as pack animals, and occasionally for dinner. The farm is home to a family of Border Leicester sheep who keep our fields mowed. Blackbroom is still a young farm staffed with distracted farmers, and we offer a few farm products for purchase on-farm only. See what’s ready to share by clicking ‘Available Now’!